In the blink of an eye, the 2018 NFL Season has come to an end and the calendar has turned to 2019, which means it is time to fire up the NFL Playoffs. 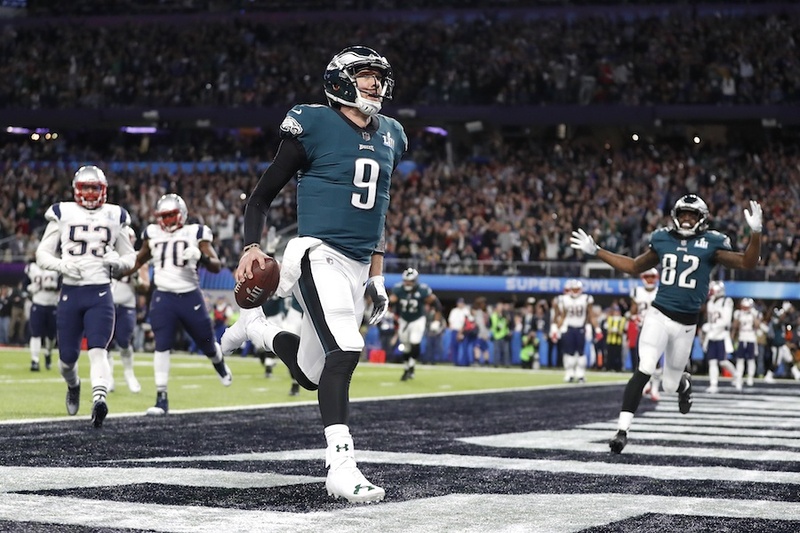 The defending champion Philadelphia Eagles, squeaked back into the dance behind their St. Nick, Big Game Nick Foles, who has been spectacularly great over the last two seasons, while only appearing in 5 games as starter, going 4-1 this season. As crazy as it sounds, the Eagles can once again play the “underdog” card this postseason as they will have go on the road throughout the entirety of the playoffs if they want to get to Atlanta. They will start as road underdogs against the Chicago Bears this weekend. I am going to go through and identify the key strength and weaknesses of all playoff teams and then I will make some predictions on the upcoming Wild Card Weekend and other playoff results. Rushing attack – This is a run first team despite the hype Drew Brees is getting, as they ranked sixth in rushing yards per game in the regular season. I believe they need to feature Alvin Kamara much more in the game plan and less of Mark Ingram II. I understand the between the tackles carries for Ingram but getting Kamara in space is when the Saints are at their best. The Saints offense was its best when Ingram was suspended. Do not overthink it Sean Payton, Alvin Kamara is better than Mark Ingram. Drew Brees? You would think given his Super Bowl pedigree and resume but he actually has not been that good in his last four starts. Last four starts: 3 touchdowns, 3 interceptions, 214.5 yards passing and an 83.7 passer rating. Who let Andy Dalton into New Orleans? Drew better get it in order because time is running out. Secondary – Defense has improved but a suspect secondary against elite perimeter receivers can be a question mark. On that fast track in the Superdome you would expect the Saints to be able to outscore everyone, but if they don’t, can the defense hold? Secondary receivers – Outside of Michael Thomas and Alvin Kamara, who will step up and take some pressure off of Drew Brees? Sean McVay – The young coach is going to have a lot of time to prepare for his Divisional Round opponent. Can he live up to the hype this time around after exceeding expectations last season? Defensive front – Aaron Donald and Ndamukong Suh provide a defensive front that is among the best in the playoffs. Todd Gurley II – But will he be healthy? Jared Goff – Has seen a drastic downturn in production since his early season surge. Todd Gurley II – His health has to be the main concern for L.A. Secondary – It seems as if this team can be beaten through the air at will if they cannot develop a pass rush. Patrick Mahomes II – 50 touchdowns and 12 interceptions, WOW. Big time playmakers – Travis Kelce and Tyreek Hill can beat anyone at any time. Andy Reid – Great offensive coach will have his team ready. Defense – Is not championship caliber and has cost Kansas City a handful of games already. Andy Reid – Does not exactly have the most sparkling playoff resume. Nothing, unless they have to go to Kansas City for the AFC Championship Game. All jokes aside, Brady has not been great but it’s January and we’ve all been down this road far too often. Defense – 1st in total defense and 1st against the rush, this attack is the best in football. Rushing attack and gadgets – The combination of Jordan Howard, Tarik Cohen and Mitchell Trubisky have actually made this team an above average rushing attack. Head coach – Something about Matt Nagy makes me believe he can get the Bears ready to beat anyone at any point. Can Mitch Trubisky make the important throws when the Bears need it? What happens if the Bears defense slips up in a game? Rushing – 2nd in all of football in rushing yards per game. Defense – Probably the second best defense in these playoffs behind Chicago and allow the fewest yards per game in all of football. Lamar Jackson – Can he make the important throws when necessary this postseason? Wide Receivers – Can these wide receivers get open for Lamar Jackson when he needs to make a big throw this postseason? A defense that truly has not “played it’s best game” yet. Philip Rivers – Although his playoff resume is as hollow as mine, he is a veteran presence for the Chargers. Big play weapons – Melvin Gordon, Keenan Allen and Mike Williams, to name a few. Anthony Lynn – A young coach in his first playoff game on the road is never easy. 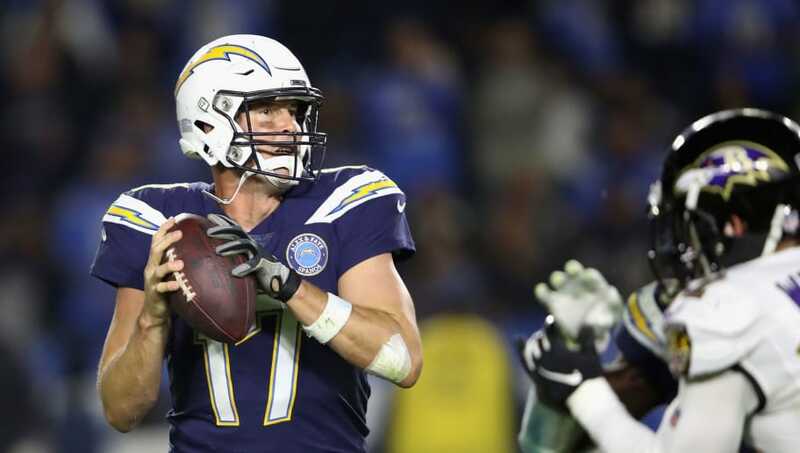 The most difficult matchup for the Chargers might just be their opening round showdown against the Ravens, but if they can get through? Defense – 6th in total points allowed, 7th in yards allowed per game, 5th against the run. A really solid group all around. 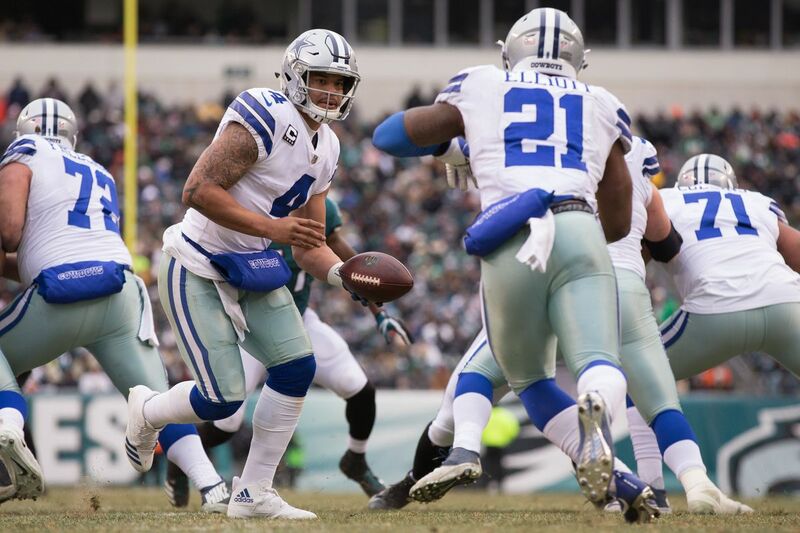 Rushing attack – Obviously with Ezekiel Elliott and Dak Prescott, this group can rush the football as well as anybody. Jason Garrett – Will “Coach Clap” ever win a big game? The Dallas Cowboys have not been to the Super Bowl since 1993. Can Dak Prescott make the necessary throws to win in January? DeAndre Hopkins – 115 Receptions, 1,572 Yards, 11 Receiving Touchdowns. Wow. Deshaun Watson – 14-8 as a starter, 26 Touchdowns against 9 Interceptions this season. Winner of a College Football National Championship. A proven winner that is tough to bet against. J.J. Watt – 16 sacks over a full healthy season makes this defense a vaunted group in the front. Pass Defense – 28th in passing yards allowed per game exposes the vulnerability of the back side of this defense. Second receiving weapon – With Demaryius Thomas injured, can Keke Coutee or DeAndre Carter fill the void as complimentary weapons to DeAndre Hopkins. Russell Wilson – 8-4 career playoff record with 20 playoff touchdowns against only 11 interceptions. In 2018, Wilson passed for 35 touchdowns and only 7 interceptions, that is spectacularly great, especially in a run first offense. Rushing attack – Lead the league in rushing yards in 2018. Chris Carson leads this attack with over 1,300 yards from scrimmage in the regular season. Pete Carroll – This season has been Pete Carroll’s most impressive with lack of talent on the defensive side of the ball, but with Bobby Wagner on defense and Russell Wilson on offense, this group should never be counted out. Defense – The defense is only average this season but I do think schematically they will be ready to go in the playoffs. There are surprisingly not many on a team that is the five seed in the NFC. This team is dangerous. 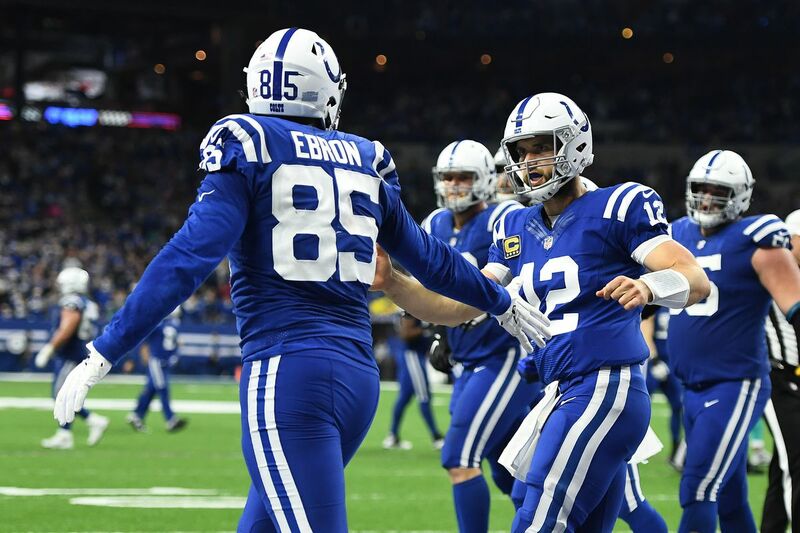 Andrew Luck – The ever cerebral Andrew Luck had a remarkable comeback season after overcoming his lingering shoulder injury in 2018. 39 touchdown passes against 15 interceptions and nearly 280 yards per game through the air on average has this aerial attack on the verge of take-off in the postseason. Defense – An extremely underrated group that actually finished the 2018 campaign inside the top 10 in total defense. Although I think Frank Reich is a great head coach, this is his first playoff game at the helm as THE GUY, so we will see. The defense can be susceptible to big plays through the air so it will be important for them to limit the damage. 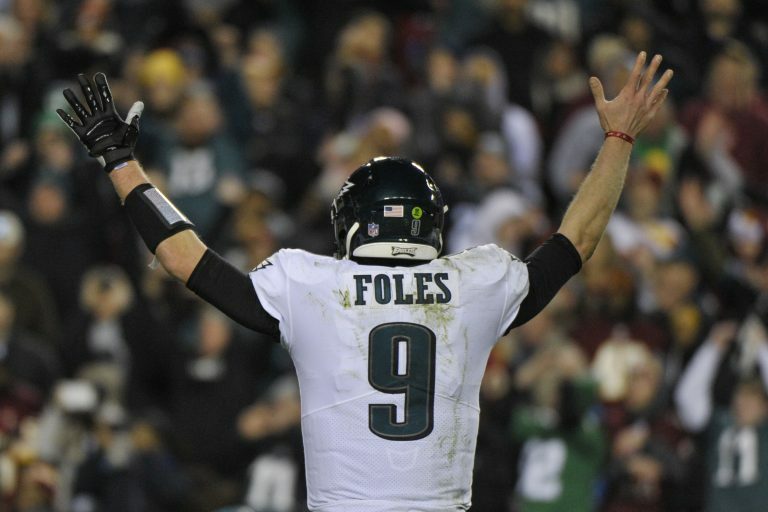 Nick Foles – Can the magic continue? The Eagles can embrace the underdog role once again. Prediction – I am going to take the slight road underdog here, Colts 27 Texans 22. I think this comeback story will continue for Andrew Luck in a back and forth divisional slugfest. I predict that T.Y. Hilton and DeAndre Hopkins will both go over 100 yards receiving but I think the Colts defense will make one more big play to get the win here. Prediction – I hate to start the playoffs by predicting two road (albeit slight) underdogs but I am going to take Seattle, Seahawks 23 Cowboys 17. I trust Russell Wilson more than I will ever trust Dak Prescott in this big game. Pete Carroll is a far superior coach to Jason Garrett. Give me the team with the better quarterback and coach, Seattle wins. Prediction – The home teams will not go winless this weekend so I am going to take the Ravens, Baltimore 25 Los Angeles 21. I think the Ravens may just have LA’s number in terms of defensive personnel and at home I think Lamar Jackson will make just enough plays to secure the win for the Ravens. Prediction – Everything inside of me wants to take Nick Foles and the Eagles to win this game but I just cannot, Bears 24 Eagles 20. This will be a low scoring slugfest I imagine but I think Matt Nagy will have a few tricks up his sleeve to get Tarik Cohen and/or Taylor Gabriel a big splash play that will make the difference. If the Eagles are forced to become one dimensional, I think that spells disaster for Philadelphia. I think the Kansas City Chiefs will win the AFC. 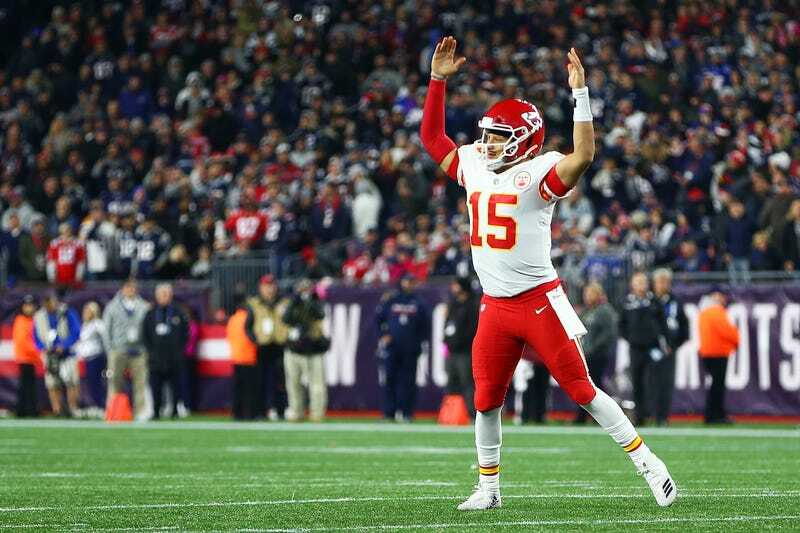 Patrick Mahomes will rally his men and the defense will hang on for dear life to ride this emotional season into Atlanta. I believe the Chicago Bears will win the NFC, I think defense is back in the NFL and the Bears have the best group in football. It will be a long and winding road to Atlanta and for all I know, all four of my Wild Card predictions will be wrong and the Bears will lose in the first round. However, something in my gut thinks it is going to be tough to knock the Bears out of the playoffs this year and that is why I am sticking with them. I can’t wait to revisit where I was right and where I was wrong in about a months time.